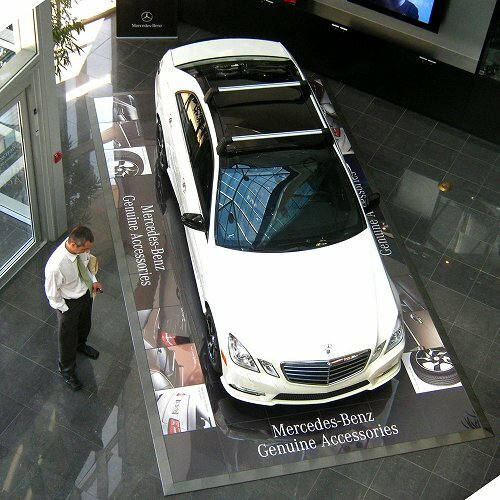 PromoDek is a promotional raised (35mm) flooring platform. 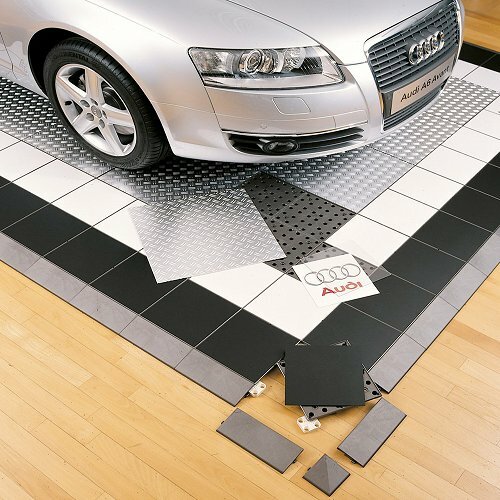 With its 500mm square tiles and ramped edging, this product can be made into any shape or size to suit your needs. PromoDek can be driven on and can withstand up to 1250kg per 10 x 10cm. 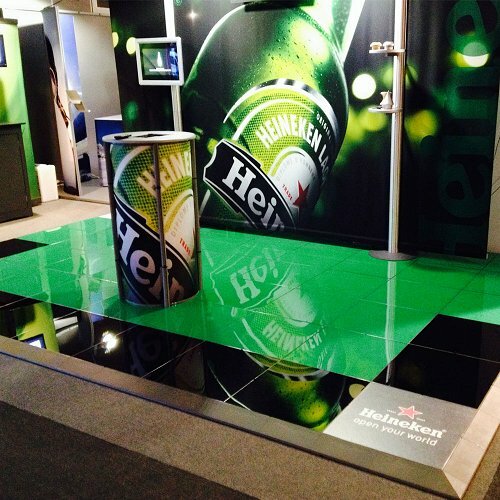 By adding your company colours, printed graphics or virtually any material to PromoDek, you can create your very own unique atmosphere on a raised floor setting. 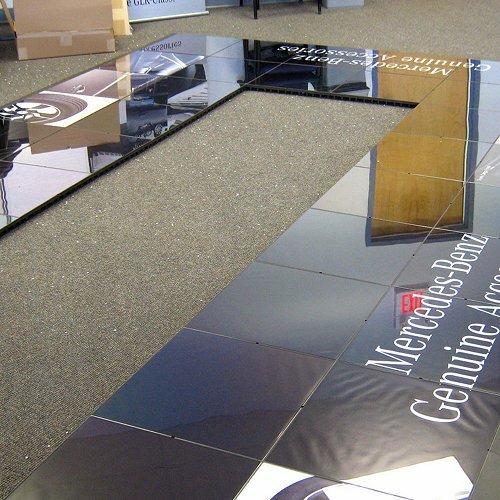 You can use PromoDek for tradeshow flooring, product presentations, dealer showrooms, retail displays and much more! Each square is 500mm x 500mm. Edging comes in 100mm x 250mm and can be custom made to your specifications. Min Order: 1 square metre.